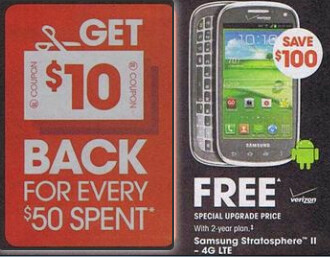 A leaked flyer for the holiday season reveals some of the deals that Radio Shack will be offering for smartphone and tablet buyers. The sale will be starting on Black Friday which to the uninitiated is the day after Thanksgiving, and kicks off the holiday shopping season. One of the phones shown in the circular is the unannounced Samsung Stratosphere II. We showed you a leaked photo of the device last week, and it appears that it should be announced and launched by Black Friday. The Samsung Stratosphere II is listed as being free with a signed two-year contract and is normally $99.99 on contract or $499.99 off-contract. 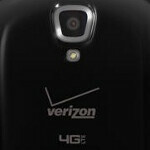 Other deals include the HTC One X for AT&T free with a two-year pact, the Samsung Galaxy S II Skyrocket, also for AT&T and also free with a two-year pact, and the Samsung Galaxy S II for Sprint. That phone is free with a signed two-year contract. If tablets are your thing, you can buy the Digix 10 incher with 8GB of storage and Android 4.0 installed for $149.99. Sounds like if you are in the market for a new handset or tablet, your best bet is to see what deals are going to be offered to you from Black Friday on through Christmas Eve. They are just getting rid of the left over stock. Can't blaim them. And the GS2 was never a bad phone.